BlogHome » Blog » Are you good enough to be bad? Are you good enough to be bad? Aspiring creators, from artist to people who want to improve their health, often fail to explore options they really want to act on for fear of looking “bad”. I personally don’t think there is such a thing as “bad” if you’re in the process of creating. You may fail to initially produce the result you desired, but there’s nothing intrinsically “bad” about that. But for those of you who have seen me dance, you’re probably still convinced that some things are just “bad” no matter how I spin it. I like to argue for people’s possibilities. So for the sake of argument, let’s run with the premise that some things are just plain “bad”; “bad” singing, “bad” writing, “bad” business, and the list goes on. 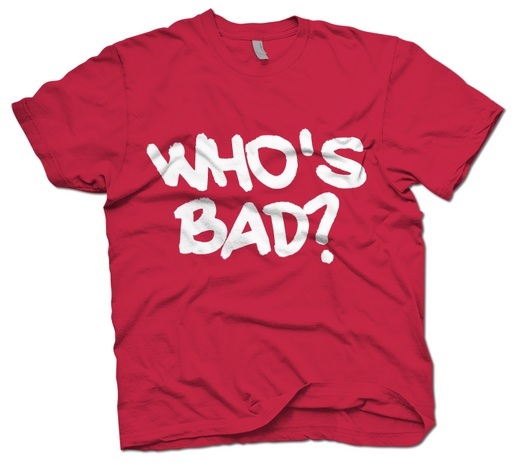 When I carefully consider this concept of “bad”, however, I realize that “bad” isn’t as “bad” as it sometimes seems. For starters, being “bad” is the exclusive privilege of those who do things. If you’re not doing anything, you’re neither good nor “bad”. Having someone tell you that your work is “bad” is almost like having your name on the V.I.P. list at an elite resort. It lets you know that you’ve made it into the upper echelon of movers and shakers who choose to have an effect on the world. And unlike a V.I.P. pass, you can be sure you’ve achieved this status by your own efforts. When you’re “bad” at something, no one’s going to give the credit to your rich uncle. You get to be “bad” all by yourself. At least that’s the way I see it. That’s my two cents and you can keep the change.